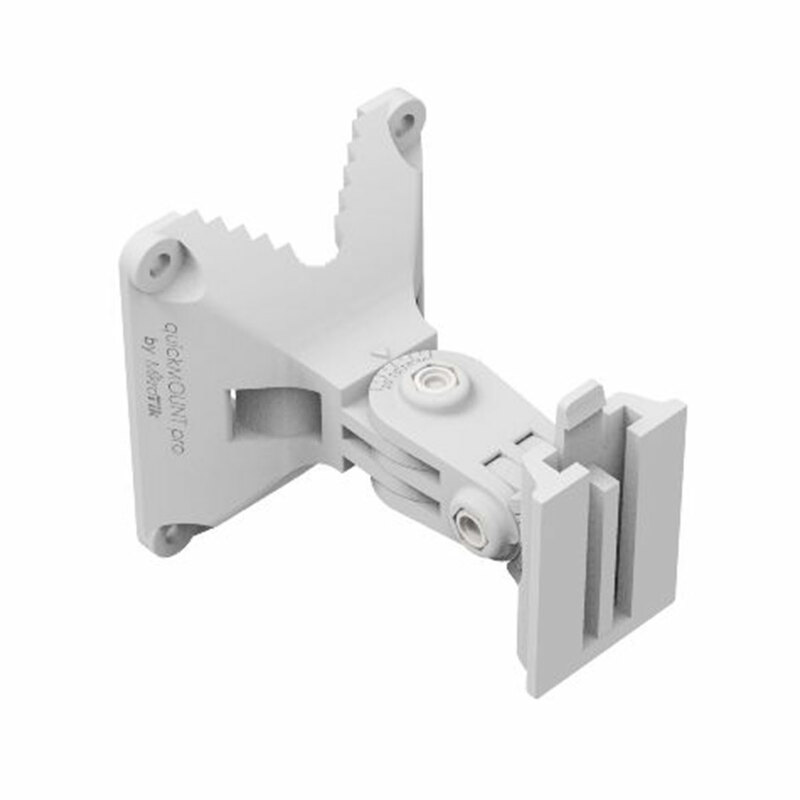 The quickMOUNT Pro is an advanced wall mount adapter for small point-to-point and sector antennas. The quickMOUNT Pro is an advanced wall mount adapter for small point-to-point and sector antennas. You can mount it on the wall or use it as an adapter from large diameter pole to small size antenna mounting clip ensuring reliable fitment. The adapter is very durable due to its special material composite - anvilNITE (TM). Supports SXT, Omnitik, BaseBox or any other pole mountable device. Supports up to two SXT units.